Still rocking a hardware sampler and want to increase its palette? Ever wish you could expand your library by using the soundbanks of other samplers? Enter Chicken Systems with their Translator Pro software that converts across numerous formats. Let’s dig in and get the full story. Drew Spence: Although music, both sonically and production-wise has changed significantly in recent years, the hardware sampler still get used in some important ways in the studio. What do you attribute its staying power to? Garth Hjelte: I think in many ways, the dedicated hardware sampler “feels” more like an instrument than a systematic software sampler that integrates perfectly with modern recording systems. The sound that comes out often feels like it was manufactured AS a music instrument, not merely imitating one. And I’m saying this in regard to all types of sounds – not just imitative sample sets but also synthetic textures or even drum and percussion sounds. Right now I put hardware samplers in three categories: first you have the real old stuff circa late ’80’s early ’90’s where even if the sampler was 16-bit linear, the sound was hardly that. Listen to a hi-hat on one of those machines – it’s much trashier and not as transparent. Other sounds have that “rounding” and slippery feel to them. Pads and strings can have this special thickness to them. Second, you have the samplers built in the mid/late ’90’s, like the Akai S5000/Z-series, or the MPC1000 series, or even the Emulator 4. These were attempts to get better sound quality and generally they succeeded. 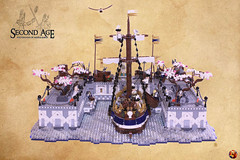 Although at the time they were (and should have been) highly regarded, this is only because no computer-based system truly existed yet. After the software revolution (starting with Giga) got started, time passed those units by. Most of them just didn’t have the trashy charm the older stuff did. The third category is the new workstations (Motif, Kronos) that have a fairly solid sample-playback engine in them. These are worthy of note because they allow live playing to included user-contributed things in addition to the solid ROM packages they offer. Not only that, in recent years they are innovating past the “loading on startup” things. The Motif XF can hold 2GB of flash memory – wow! The Kronos can stream from SSD hard drive. The Kurzweil PC3K has 128mb of flash. So, back to using older hardware samplers, I think artists are looking for that more organic approach and they are finding it with the older samplers. She does it, you can too. Chicken Systems has been around for a while. How did you get involved in the translation process and why? We started out in 1988 doing only Ensoniq things – selling sample sets, hard drives, consulting, writing. In the 1990’s some DOS programs came along that could read and write Ensoniq floppy disks AND the SCSI drives. That was nice – it helped us duplicate the floppy sets we sold – but we wanted the authors to improve their programs, like make Windows versions of them, add features. They refused, so we wrote our own. These are the Ensoniq Tools programs and we even sell them today. These were the first computer programs we ever wrote and although they were innovative, we made our share of mistakes writing them. The Ensoniq ASR-10 was out for quite a long time before a successor came out – the ASR-X in the mid-1990’s, and since the Tools programs were doing well, we decided to write Ensoniq ASR-X Tools too. One big problem with the ASR-X was that although they included the ability to read EPS/ASR disks, they didn’t read the envelopes correctly. The ASR-X did not have a initial level parameter – it assumed zero – where as the EPS/ASR did, and they didn’t compensate for it. So any sounds – even to this day, they never fixed it – where the initial level was pretty high or even greater than zero, and the attack time was greater than perhaps 50ms, came out as a slow or fluffy attack on the ASR-X. Plus, the ASR-X wasn’t truly programmable from the front panel – it needed a computer program to get at things to truly program it. So, in Ensoniq ASR-X Tools we wrote our own converter that did a better job, and we called it… Translator. It still exists in the program. Anyway, a couple years later, I think around 1997, I attended the NAMM show in Nashville upon the urging of Robin Boyce-Truitt of Keyboard magazine. The question in my mind was “what should my company do next?” Ensoniq had been purchased by Creative Labs and it was clear that the company was just hanging on. 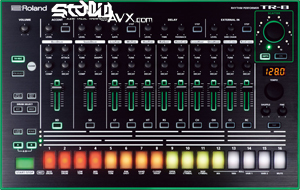 The ASR-X wasn’t really a true sampler, it was a groove box. Plus, for some reason, samplers were not good sellers back then. I think it was because no more innovation was taking place. I didn’t know it at the time, but most professionals were still using Roland S-760’s and Akai S3000’s created in the early ’90’s. So I remember thinking that if my main market was Ensoniq’s, one thing I could do was to really start making more sounds for it. Unfortunately, I had to admit I had limited resources in which to do this. Paying full orchestras or going heavy programming my own sounds wasn’t truly in my wheelhouse anymore, although I liked doing it. But after programming a couple successful Windows programs, that’s what I enjoyed doing. So I had the idea of combining the ability to read AND write Ensoniq disks and expanding that to read other samplers disks, like Akai and Roland and Emu etc., in order to allow people to have infinite libraries, because there were untold thousands of Akai titles out there. Why program your own libraries when you can allow people to convert existing ones? The ultimate leverage! Currently the ASR-10 allowed reading Akai S1000 and Roland S7x programs and patches. Not S3000, and plus the import was so-so. Since I noticed the EPS->ASR-X problem, I thought I could do a better translation PLUS add a great interface and supply even more formats. So I started programming the program, which I remember naming it at the 1997 NAMM show, walking along the sidewalk next to the convention center, as TRANSLATOR. I spent the following months getting better at reverse-engineering foreign disk and file formats. I had some great help along the way with old Ensoniq people helping as well as some brilliant German engineers. I figured out AKai’s, Emu’s, and Roland’s formats alongside Ensoniq’s. The dream was being realized! The program was coming along nicely but was not released as yet. Then it all started spiraling, and I was the right person (now as the corporation called Chicken Systems, I added several partners at this time) at the right time. During the next year, the first software sampler appeared – Seer Systems Reality. That was our next destination format. The Seer Systems guys helped me figure out more formats, as well as theirs. The more we worked on it, the better we got. 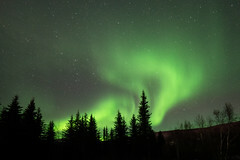 However, the real big thing was coincidentally in the same city – Austin Texas. This was were Nemesys started and Gigasampler was born. At first I considered them a competitor with Reality and I liked the Reality guys. But Giga had this new thing called disk streaming which allowed extremely large sample sets. 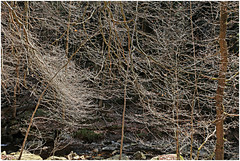 Based on the advertisements and the external press, it was impossible to ignore. I can’t remember at the time if we initially released Translator with conversion into Gigasampler, I don’t think we did, but it came out shortly afterwards. Sales then exploded. It was the perfect product to support, as it was Windows only, and we were only programming for Windows. Perfect. So Chicken Systems had to start adjusting not only to a lot of money rolling in, but also how to keep up with the huge demands of better import coding and more formats. SampleCell, Kurzweil had to be supported. Plus, we were looking into new destinations. From the beginning, we committed ourselves not just to read all formats but to write to them. Plus, the new formats drew in the market of Mac users, and how were we going to make a Mac version? I’ll leave the explanation of the 2000’s for another time, but basically that’s how we started innovating our core technology, which is translation instrument formats between each other. Translate the hard and soft. Well, it’s hard to recommend a hardware sampler, as the needs for it are so limited these days. Back 10-15 years ago, a hardware sampler would be for the true task of sound emulation in a studio or live. 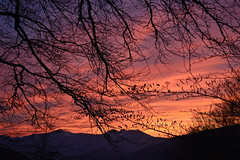 But not anymore, software samplers are ALWAYS much much cheaper – even free! – plus they are always better in most every way. The second type of people appreciate any hardware piece, and I think as far as true samplers go, really the Akai Z4/Z8 were the ultimate in that regard. Up to 512mb of memory, 24-bit, and you can use the akSys software to remote control it from a computer. The third type of people at least have the modern era on their side. The Yamaha Motif XF and MOXF have flash memory, so you can actually create sounds and instruments and save them to the flash memory, so you don’t even have to load them or wait for them to load. Plus with the workstations, you can gig with them within hesitation. What about software? If I use something like Kontakt, does it still make sense to acquire the older sampler disks and translate them or should I just focus on newer libraries? Completely up to the user! I don’t think a blanket statement can be made like “the newer things are best”, although newer libraries really are excellent and hard to beat. But older libraries – even going back to Roland S7x libraries recorded in the 1990’s built for 32mb – have a excellent charm to them. I remember reading something about the band Heart, early in their career when they did lots of experimenting in the studio, that “everything comes out of only 2 speakers with other instruments ultimately anyway”. That’s true, so often the old sampling/old recording almost serves the purpose of what tube preamps and modeling plugins do today. 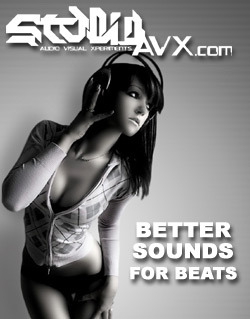 I would advise anyone to take advantage of the large availability of sounds and choose what’s best for you, plus do not discount older sounds, they often are free to little investment, yet you’ll be very surprised at how they sound. And, although there were garbage sound sets made in the past, it wasn’t so nearly prevalent as today, where the 40GB sound sets you get with a sampler often are fractionally usable. How do I know what older formats hold up best? Is there any difference between these formats or any sampler’s library I should avoid? They all are good. To be precise, we are talking about Akai, Roland, Emu, Ensoniq, Kurzweil, SampleCell; plus SoundFont. All pretty much share the same program structure. Akai by far has the greatest selection – there probably 25x as many Akai titles than the other formats. And with the other formats, they tend to revolve around what the manufacturer produced, there are few 3rd-party libraries. The people that broke the mold on that were primarily Spectrasonics/Ilio and East/West, being the largest producers. And regarding SampleCell, for years the Bob Clearmountain drums were the best selling sample CD library. Can I use Translator as an instrument and play my samples from its interface or should I get a VST sample-host or program like Kontakt or Reason… or…? 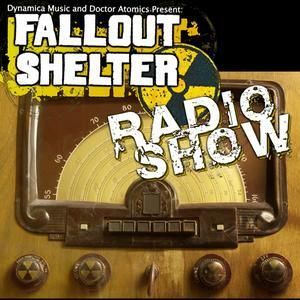 Are there any ideas to just making a VST version that loads everything? Translator can audition instruments but it’s just to “see what they sound like generally”. It’s not for playback or performing. Right now, I’m interested in the full bundle, but I read that soon they will all be merged into a single workstation. How is that coming along and how soon do you project it might be available? SamplerTools is a bundle that includes the full versions of Translator, Constructor, and Instrument Manager. It doesn’t eliminate the selling of the three products, it’s just an extension of them. SamplerTools also includes 2 extra features: more features in each separate program that include the capabilities of the others, and a integrated interface (think new application) that includes all three features of the bundled programs in one interface. 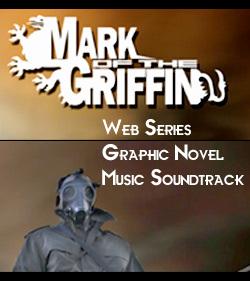 The two things are not complete yet, but we are shooting for a 4th quarter 2014 release. 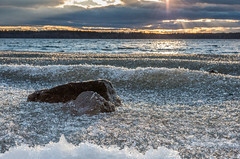 SamplerTools is being sold now, just with licenses to all three bundled programs. Registered owners will get the two additional things when they are released. 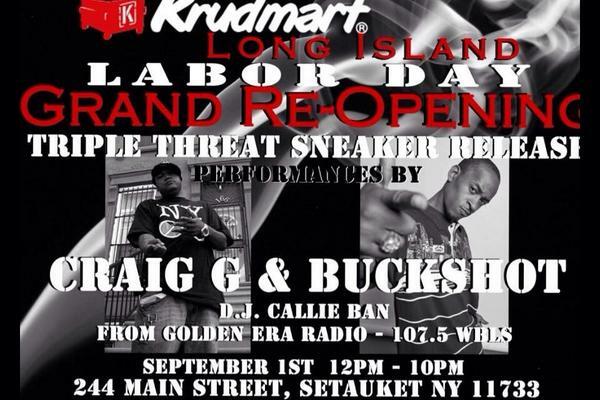 Producer’s Edge digital was invited to the Krudmart (@Krudmart) Grand Re-Opening hosted by Buckshot (@Buckshot) with special guest star Craig G (@MC_Craig_G). 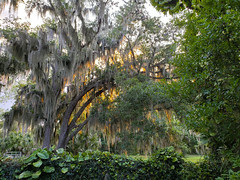 The Krudmart event took place in the Setauket location in Long Island NY. Craig G, the golden age rap master, with classic records like “Droppin’ Science” and “The Symphony” was there to meet and greet and explain why he’s in full support of an independent footwear movement. Buckshot broke the line down and explained why we need more options for gear-wear and how important expressing your own individuality can be. Big Earth, a store owner and independent retailer has made the boutique experience affordable and accessible with a cultural center that doubles as a sneaker store. DJ Cut Supreme (@cutsupreme) was on hand and handy behind the decks keeping the Boom Bap on tap. He was joined later by Craig G’s tour DJ, Callie Ban, who utilized his style of blending the classics with the original records that were sampled. Product Review + Free Horn sounds from Diginoiz! 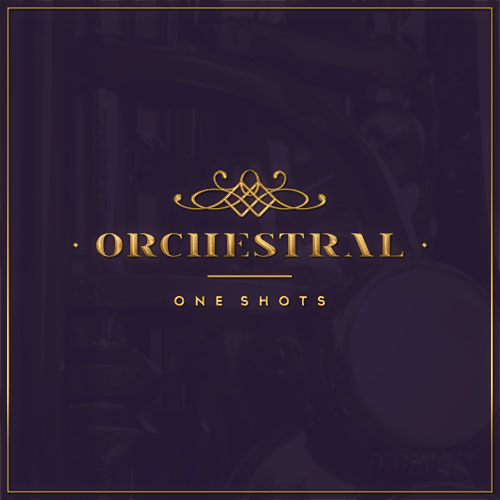 “Orchestral One Shots” contains 202 perfectly sounding multi-format one shot sounds in Hip Hop, R&B, Modern Pop and more genre. So yeah, I picked this up from Diginoiz and had some pretty high hopes after hearing the demo. This product does not disappoint. I loaded up the 202 bits of juice into NI Maschine and was inspired instantly. I place this Orchestral One Shots into the category of essentials since it’s just so useful. I know there will be a point where I’ll be working on a track and ask myself “What goes there?” and answers like these usually fit nicely. They also pitch well, so the options vary. “Orchestral One Shots” contains 202 orchestral one shots, 288 mb multi-format material (24 bit WAV, 24 bit AIFF and 16 bit WAV) ready to use in your favorite sampler or sequencer, both hardware and software, including: Logic, GarageBand, Soundtrack, Digital Performer, Sony Acid, Ableton Live, Adobe Audition, Cakewalk Sonar, Pro Tools, Emagic EXS24 and many more. This is free and free is a lovely price. I have no idea why it’s free…buy anyhow. Pretty simple: 50 horn/brass loops/ They sound like hooks to beats, but can be easily chopped and rearranged to be whatever you need to choose to flip. Follow the normal and simple procedure like it was a purchase and after checking out with your cart (cost of zero) you’ll get the download link. Produced specially for You, a product of the highest quality in the Urban genre, that will bring Your tracks to the next level. 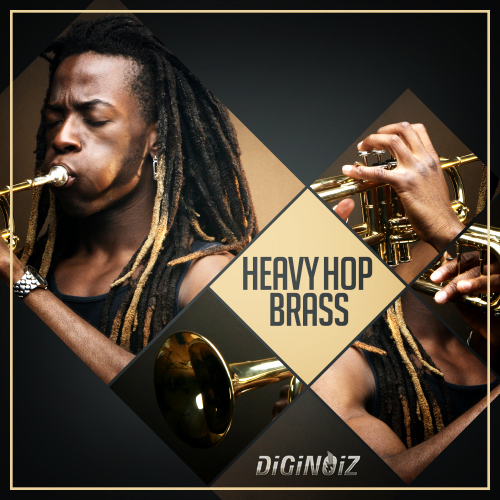 “Heavy Hop Brass” is a collection of 50 heavy, melodic and climatic brass loops. All loops were prepared on professional equipment with highest attention to detail in order to obtain the highest standard of sound. All of this You can find exclusively at Diginoiz.com to free download! 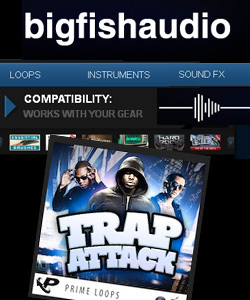 “Heavy Hop Brass” contains 50 perfectly sounding loops (85-105 BPM) in Hip Hop, R&B, South Style and Modern Pop genre. Sam Ash Huntington hosts Roland’s Demo Day as Dave Dickerson stops by to run through the features of the new AIRA line. TR-8 Rhythm Performer, TB-3 Touch Bassline and VT-3 Voice Transformer. Kit samples captured through USB. Elements normalized and fed into Propellerhead Recycle 2.2.4 and exported as individual slices. Drum kits were left at default positions with no additional tweaks. Some sounds, including High, Mid and Low Toms are excluded. Tune, Compression and Snap at 12. Producer’s Edge XC Subscribers have been sent a package containing all the audio samples and kits. Check your email for download links. Jonathan Roye at MixNotesTV has again come up with another nice quick tip. In this video he describes how to carve space out of a Hip Hop track for a Rap vocal. This week I’ve got a quick tip for you. A subtle eq move for mixing rap vocals to a beat or 2 track mix.Throw on some headphones to really check this one out! The tool for recovering and retrieving the difficult grabs. After replacing the floppy drive with an SD card reader, I needed a way to create the images of my floppy disk library so that they could be archived and later transferred to the SD disk- mounted in the ASR-10. The problem is, Ensoniq uses a unique file system that a standard PC floppy drive can’t read. The ‘image’ is a complete and exact copy of the floppy disk stored as a regular file on your PC that can be moved around and manipulated like any other type of data. The ASR-10 will see this image and treat it like an actual floppy disk. We need to get Windows to see the floppy drive in an Ensoniq sort of way and so we replace the Windows drivers with the OmniFlop drivers. We had to put in a little extra work to circumvent the Windows 7 driver system, but that process went off without a hitch. 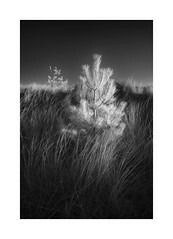 You can find out the Whys and Hows on that same Omniflop website under Overview. With the new drivers working, I basically have an ASR-10 floppy drive on my PC. For a very reasonable $39.95 USD, you get a robust and feature laden software recovery tool. It can pull from CD/DVD, Hard Drives, USB Flash drives, Zip drives and on and on. Mind you, I had tried just about every free solution out there, including some recommended by the hardware manufacturers themselves, but none worked. I mostly got two errors No floppy in the device or continuous prompts for formatting. Not good. 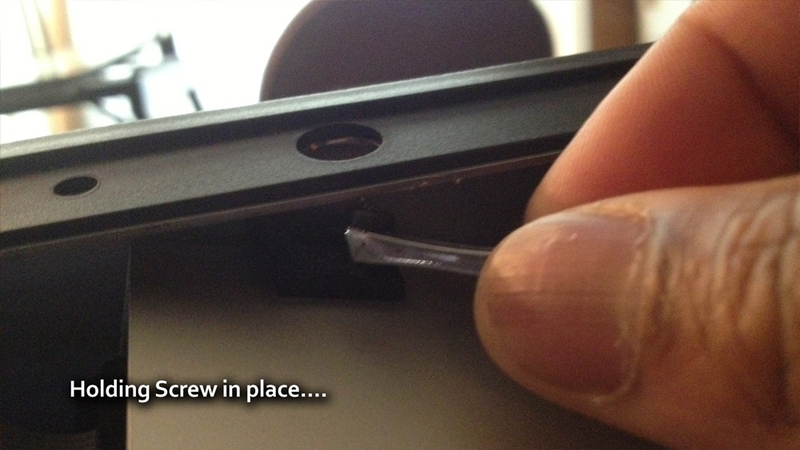 I spent hours trawling through forums and always saw damaged hardware as the suggested problem. I know my floppy drive worked fine on the PC and I know my floppies had projects on them. On one site, IsoBuster was suggested as an end all-be all solution and I realized I never thought about using recovery software to get my images made from the ASR-10 floppies. IsoBuster saw my disks and made images easily. The newest update, which is 3.3 reads the ASR-10 formatted Disks and creates an image that is 1,600 KB. That means everything is there and the job is done. They have full instructions on their site and have tech support should you need any help with their products. Now that I have this tool, I’m digging through all my old CDs and DVD+Rs that wouldn’t mount and getting back my lost files. Life is good. http://www.isobuster.com/isobuster.php Demo version is available. They don’t make them like this anymore. We turn back to a time when a sampler meant you recorded audio and created…samples. The Advanced Sampling Recorder is a classic piece pulled from the days of hardware-only, in a time when a collection of crates was known as your soundbank. Writer Sean Maru has covered the ASR-10 in great detail in his Vintage Series article in issue 01 (page 35). Here, we take a look at ‘dropping the floppy’ and adding a more modern storage system to the ASR-10. 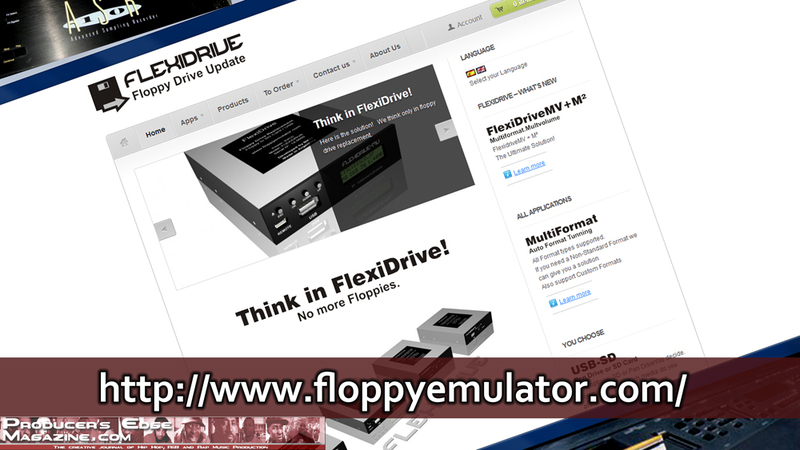 FloppyEmulator.com is all about replacing the floppy drive on your machine with USB and SD mounted media. They cover a wide range of brands, including Kawai, KORG, Yamaha and Roland. For this article, I will focus on my own experience with the ASR-10. I chose the $385.00 USD FlexiDriveMV-SD, which is a multi-volume SD card-reading drive. I could have also chosen the USB reader for the same functionality and cost. The idea is to have EVERY floppy disk saved on a single SD card (including the O.S. Disk). They boast a single card solution can store up to 2,500 Disks and that’s more than enough. Firstly the disclaimer: Producer’s Edge Magazine is in no way suggesting you follow this article or video as an instructional guide and is not responsible for any damage to you or your equipment. Maintenance and upgrades should only be done by qualified persons and any attempted alterations may void your warranty. My package from FloppyEmulator.com arrived shortly and included a nice SD card reader and a 4 Gigabyte Kingston SD card. There are numerous screws on the bottom of the ASR-10. I removed these to lift the faceplate and get access to the internals. 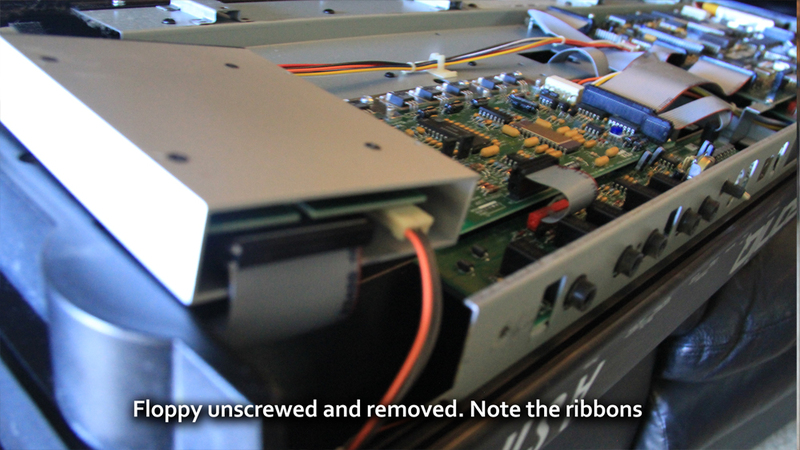 The FlexiDrive sits in the same bay and connects to the exact same cables from the floppy drive. I took pictures as a reference to see how everything was connected. I also took note that the ASR-10 was upside down, so the drive bay would be installed upside down. 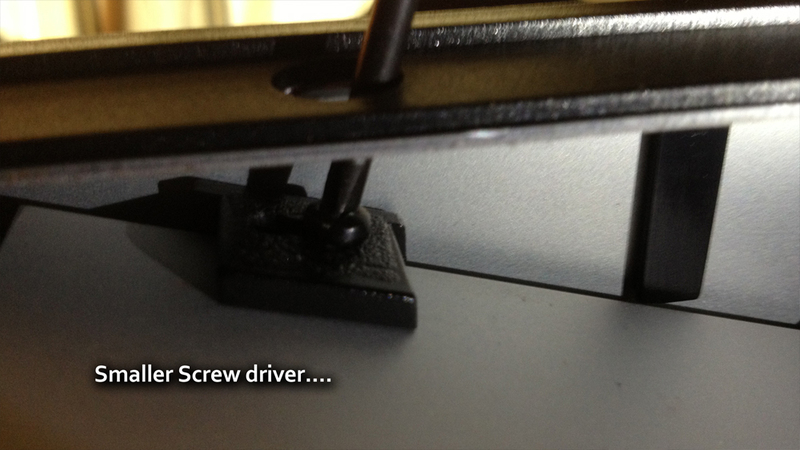 Although the FlexiDrive came with proper mounting screws, I reused the ASR’s screws. 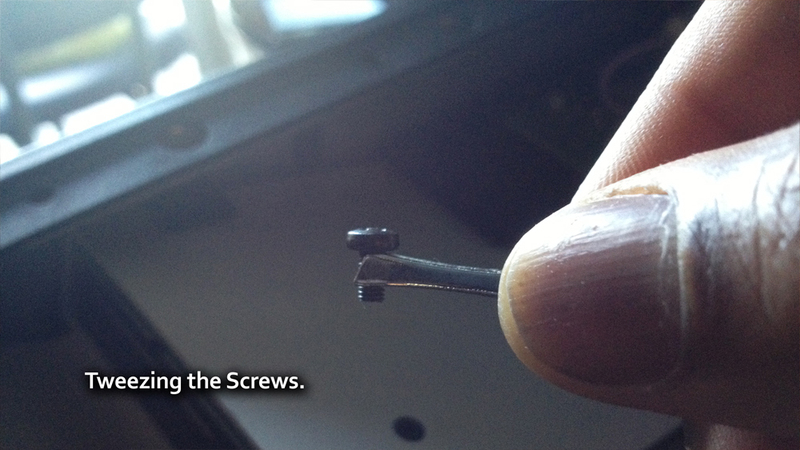 I used two different screw drivers, a normal Phillips for the body screws and a smaller PC Phillips-head driver for the smaller screws that secure the drive’s mounting bay. Since the holes are in a tight space, I used tweezers to hold the screw in place and then screwed down from the space above, in the drive mount’s frame. Once secured, I only used a few bodily screws to put the faceplate back on since I wanted to make sure the new drive worked before closing up the ASR-10. Nuts! The drive powered up, but the ASR didn’t see it. I opened her back up and re-secured the drives’ connecting ribbon and voila, we are in business. Oh wait! I forgot to make an image of the O.S. Disk before removing the floppy bay. No problem, you can find ASR-10 Operating Disk images on the internet in various places. When I start the ASR-10, she tunes the keyboard and then asks for the systems disk. I use the browser on the front of the new FlexiDrive and load the image of the O.S. floppy and the ASR-10 boots up. **** NOTE: You can load an image of your ASR-10 Operating Disk and save it to the INTERNAL DRIVE of the FlexiDrive and load that image first upon start up. This means you can skip the step I show of loading your ASR-10 O.S. Image every time you start the ASR-10. This is much better solution. The instructions are located in chapter 2 of the Settings & Functions pdf. There are numerous USB to Floppy drives available, ranging from $30 to $60 USD. These work for normal PC floppy drive operations but DO NOT work for reading/writing/emulating our specialized drives and their formats. My modern PC [Griffin Avid edit: It’s really old, but runs Windows 7 just fine] doesn’t have a floppy bay/drive so I decided to visit the nearest mom & pop computer store and pick one up for $15 USD. I had old spare ribbons sitting around and luckily, my mother board had the right slots. The next mission is to archive all of my old floppy disks, on my PC and then transfer them to the SD card reader on the ASR-10. isoBuster is next.